FREE ROMANCE NOVEL FOR KINDLE! "This was a lovely, easy, couldn't put it down read. Really enjoyed it"
The achingly romantic story of Karen’s search for independence AND love. Karen meets Adam when she goes to look after her grandmother’s adorable dog and beautiful Cornish seaside cottage. Adam is Karen’s childhood sweetheart now fully grown into a dashing but inscrutable travel writer. Their love seems to be written in the stars, but events and a pushy estate-agent called Nick come between them. Will they end up together, and will Karen work out whether she can pursue her artistic dreams and succeed in love? 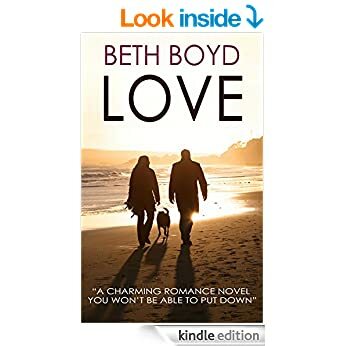 Beautifully written and evocative, this full length novel will delight you with its wonderful romance, humour, and stunning setting. Readers of Love may also enjoy Emma Bennet's "His Secret Daughter." "Iris is falling in love with the father of her child. The only problem is she never told him they had a daughter."